I wonder what the Things will be like in the future. 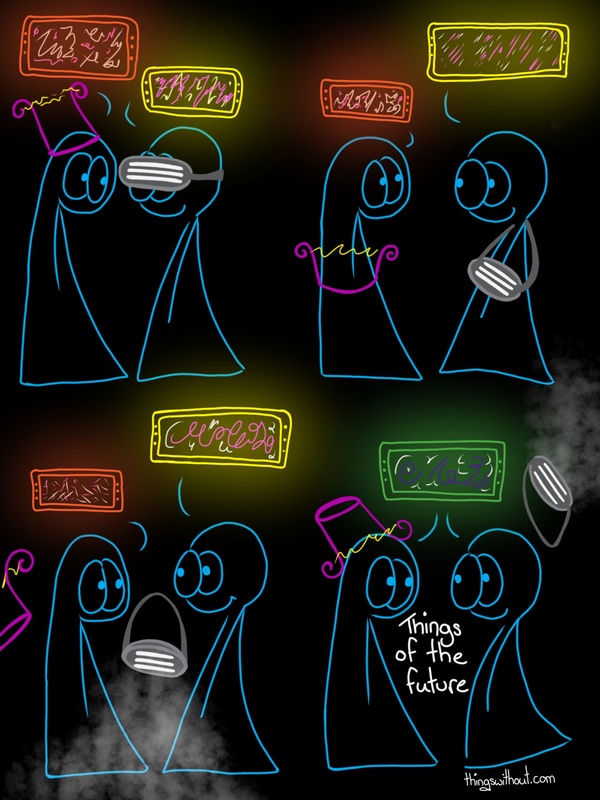 This comic was inspired by thinking about Transmetropolitan and Back to the Future. The future is a tricky beastie to think about, what will become of us. If comics and movies have taught me one thing about the future it is that there are things that will hover! … must be some special discovery we make from the Large Hadron Collider where we figure out how to turn off gravity… yeah, that’s totally it! The Things talk to each other in a series of symbols. Unfortunately language has changed so much we cannot understand what they are saying.